Golf is often seen as a more serious, gentlemen’s sport that has little in the way of hooliganism or drama, and while it’s mostly seen as a quiet, patient game that takes place on a long, sunny afternoon, golf has a fair number of fascinating and fun facts. From female record breakers to famous actors, the wide reach of golf internationally, combined with its age and popularity in the sporting world, means that over the years there have been a number of note-worthy antics and situations that prove the game is perfect for everyone who has an interest in the game. Samuel L. Jackson, while not being part of a big budget film, likes to spend his off-hours on his local golf course. In fact, as part of a clause in his contract, the actor is entitled to play golf twice a week whenever he’s busying filming a new movie. Famous golfer Doug Fort successfully predicted his victory in the 1957 Masters. That’s impressive, but what’s more impressive is that he also predicted the score he’d earn during the tour – 283 – and it turns out that his predictions came true. It was the only green jacket that Ford ever earned in his career. It would be the perfect skill to have when enjoying a little Melbourne Cup betting. Annika Sorenstam made news when she competed in the 2003 Bank of America Colonial, and many believe that Sorenstam was the first female golfer to do so. Babe Zaharias holds the record, in fact, and is the first and only female golfer to make the cut at a PGA Tour event, where she shot 76 and 81 during the first opening rounds of the 1945 Los Angeles Open. It’s estimated that every year, around 125,000 golf balls are lost in the waterways that surrounded the TPC Sawgrass island green 17th hole. 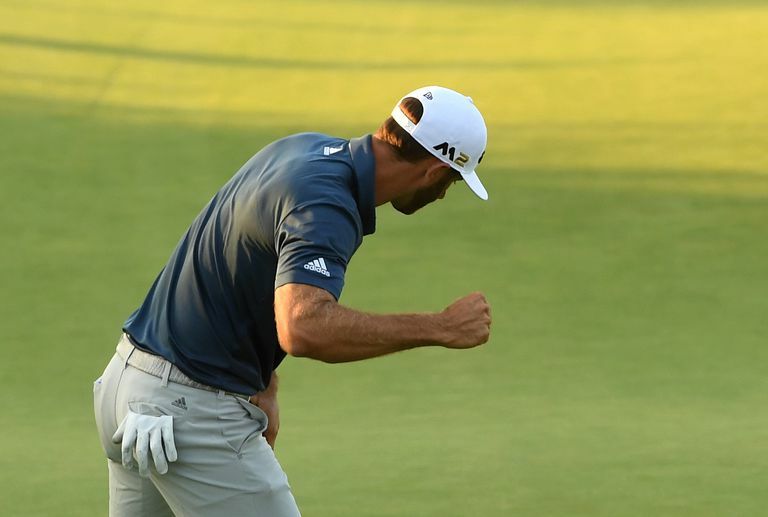 During the 2013 Players Champions, 44 balls in total were lost, but two of those made headlines when Sergio Garcia carded a quadruple bogey seven at the 17th, and lost two balls in the process before leaving the tournament. The very first golfing event to be televised was the 1953 World Championship of Golf, which featured a historic finish by Lew Worsham. Worsham holed out for eagle from 104 yards on the 72nd hold and defeated famous played Chandler Harper. Golf is one of only two sports in history to be played on the moon. IN 1976, Apollo 14 astronaut Alan Shepard git a ball with a six-iron while walking on the moon, where he had to swing with one arm due to the pressure of the suit. The only other sport to be played on the moon was javelin throwing.